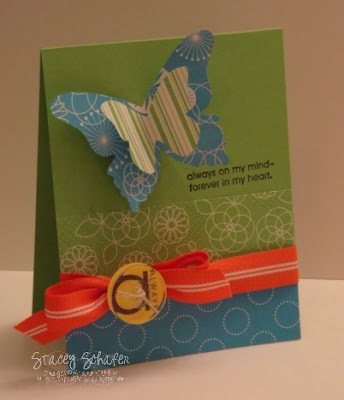 If you want to play along, simply make a paper project (card, scrapbook page, or 3D item) that includes the colors indicated with the jewelry piece. (If you don't have the exact colors, just use ones that are similar:) Then, submit your creation to me by Saturday, April 18th at 11:59 P.M. using the Mr. Linky box at the end of this posting. 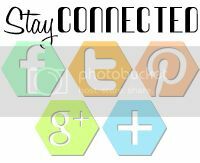 You may also wish to post your photo at Splitcoaststampers.com using the keyword JCI. 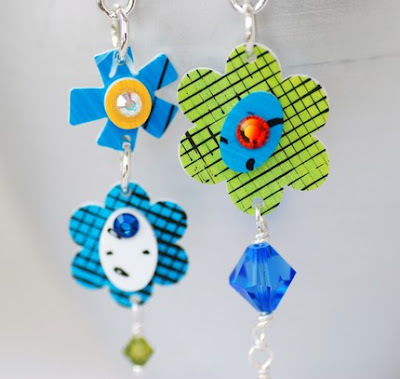 I found these handpainted plexiglass/sterling silver earrings called Flower Child at Wild Woman Jewelry Etsy shop. I love the bright and whimsical look of these dangling darlings! What a fun inspiration piece this week! Can't wait to play -- but DARN you and that Yo Yo Yellow!! !